When you want huge accuracy improvements beyond a free-float handguard, the obvious upgrades are an improved trigger and target barrel, but it is the barrel which can net the biggest benefits. The problem is that upgrading from a standard mil-spec to a premium mil-spec hammer forged barrel will typically lighten your wallet upwards of $250 and in reality provide good durability improvement but marginal accuracy improvements. Upgrading further to match grade barrels will pull at least $350 from your wallet. Fortunately for those that are looking for sub-MOA accuracy, Black Hole Weaponry has an affordable match grade polygonal rifled barrel for not a lot of cash. Not heard of Black Hole Weaponry? They sell barrels direct to customers, however they are primarily an OEM barrel supplier for many AR brands you know for upgraded premium rifles that punch tiny groups. In my case, I wanted match grade accuracy for my 6.45lb Mega Arms BIllet MTS Monolithic upper build, and liked my previous experience with barrels equiped with three-land polygonal rifling, 1:8 twist rifling, and .223 Wylde chamberings; all of which come standard on the Black Hole Weaponry barrels. I have another rifle with the same setup and its accuracy and clean running nature continues to impress me. For this build, I used a number of Mega Arms products including the MTS Modular Monolithic AR15 V2 Upper, Tactical Trigger, Grip Charging Handle, and the GTR-3S Billet Lower. Guiding bullets was left to the Black Hole Weaponry 16” LTM (Lightweight Tactical Mid-Length) barrel. From PRI, I used a Low Profile Stainless Steel Gas Block and gas tube. To drop weight, I chose an Ace Ultra Light Stock Assembly which includes a rifle length buffer. To assure the hammer and bolt were all slicked up for lube-free operation, a FailZero M-16 Bolt Carrier and Hammer kit group was installed. Optics were kept simple and light with a Burris Fast Fire II mounted way up front with a Yanhee Hill ½” riser. As you are seeing in my latest trend of articles, I am building a number or different task focused high end ARs. For this build I wanted to take advantage of the total 20 oz. weight of the upper and build a ultra-light AR build. The challenge in typical ultra-light builds is that they usually sport a pencil profile barrel which do not hold accuracy during sustained fire. To achieve sub-MOA accuracy and negate heat problems a standard Black Hole LTM mid-length barrel with 1/2x28 barrel threading was used. The barrel is .78” under the handguard and .73” in front of the gas block. This setup provides heavy barrel accuracy with pretty good heat management all while allowing the complete build to remain a feathery 6.45lbs. The Black Hole Weaponry barrels with fit and install perfectly in place of or as any other standard AR barrel and are available in all the standard contours and gas system lengths. If you want a certain weight, feel, barrel profile, fluting, or barrel finish on the stainless barrels, Black Hole Weaponry can accommodate almost any request within their regular list of options. You can even specify standard 1/2x28 threading or a standard target crown. The result of all these options provides the AR15 barrel buyer with a huge amount of options to customize the fit, feel, and finish desired. Including my barrel, I have seen a number of other builds with the Black Hole Weaponry barrels and regardless of which barrel options you choose, the brushed stainless and black finishes I saw were all excellent. 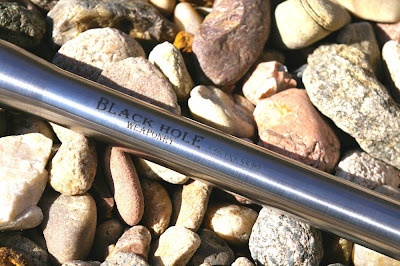 Black Hole Weaponry wins the attention to detail barrel maker award. They only purchase certified material and keep the certificates on file, then record material lot numbers and track each piece of steel through the entire manufacturing process. After profiling and finishing, each barrel is marked near the extension with their name, the lot number, chambering, twist, and the inspectors stamp. They perform magnetic particle inspections (MPI) and other non-destructive testing to assure the integrity of each barrel and pull random samples for destructive testing. A hell of a lot of attention to detail on a barrel for around $250. The advantages and features of the Black Hole Weaponry barrels add up quick. Even the basic barrels are top end match grade barrel spec’ed in stainless steel, chambered in .223 Wylde, and 1:8 twist for optimal accuracy with both 5.56 Nato and .223. The best part is that you can slip one of their standard sub-MOA barrels on for $247.50 with your choice of contour. Black Hole Weaponry also offers fluting and finish upgrades which I may explore in future builds. Functionally the barrels performed perfectly with the mil-spec standard Fail-Zero bolt carrier group and fed each of the over 500 rounds I used during testing. If you are unfamiliar with the .223 Wylde chamber the first thing to know is it will safely shoot both .223 Remington and 5.56 Nato rounds. The .223 Wylde target chamber is not new by any means, but is now being widely used by competitors and target shooters because it provides improved accuracy with both rounds while maintaining .223 and 5.56 operability. 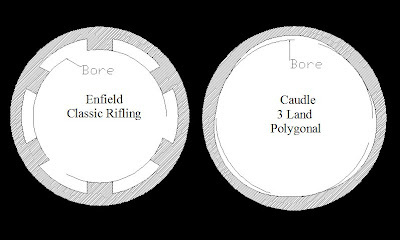 The barrel is 1:8 twist which is a preferred compromise rifling between the common 1:9 light grain round rifling and 1:7 twist used to stabilize heavier 70+gr rounds used by the military. 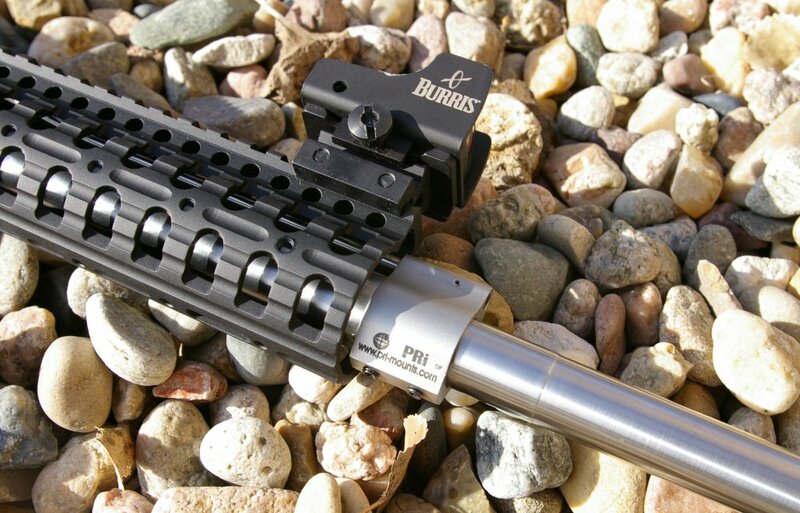 The barrel is made from 416R stainless with a Rockwell of 27 and features 3-groove polygonal rifling. Polygonal rifling has been around for a very long time. 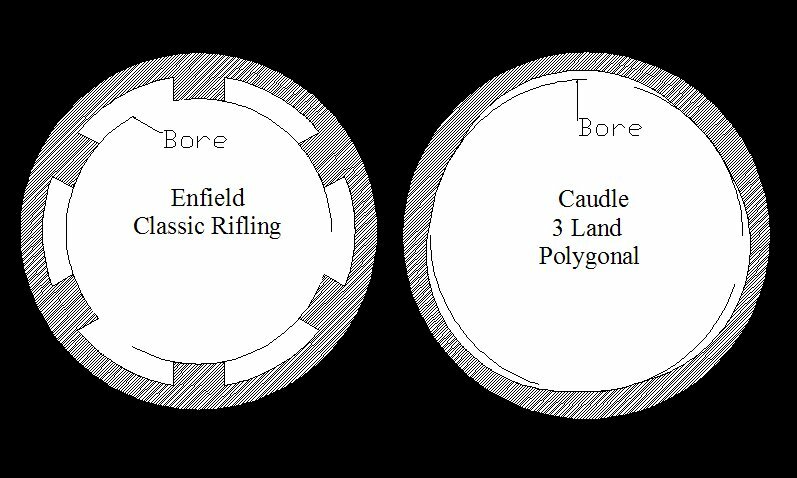 In a nutshell traditional rifling has sharp grooves for rifling. Polygonal has more of an almost imperceptibly gentle hill and valley rifling. This rifling has been noted to increase barrel strength, provide better gas sealing and higher velocities, less bullet deformation, reduced buildup, easier cleaning, longer barrel life and improved accuracy. I can’t confirm the velocity increases, however I definitely experience a noticeably cleaner running barrel, easier cleaning, and better retained accuracy as the round counts increase. As surmised by the Burris Fast Fire II mounted in the photos, my intent is not for this gun to be a bench mounted 100 yard tack driver, however it can be. In the testing process, I mounted my trusty Simmons Predator Quest 6-24 scope and hammered the magnification up to 24 to see what this barrel could do. The results were several impressive .5” groups with Hornady 75gr TAP ammo at 100 yards and one just under that. Hornady 75gr BTHP Match Ammo delivered the best overall .4” group during that afternoon of testing. If I need a little extra range than what a red dot con provide, I may slip on a 1-4X scope such as the Hi-Lux CMR scope I am reviewing now. Probably a shame to just have a red dot on this barrel, but it is an outstandingly fast shooting competition rifle in this configuration. Doing the math, if this rifle is capable of delivering groups approximately ¼ the size of a standard Mil-Spec barrel with a scope, it will do the same with just a red dot sight and put me on target more reliably at any range regardless of the optic magnification... and it does. Simply put, the Black Hole Weaponry barrels are an exceptional value for upgrading your standard AR’s accuracy. For those building custom rifles, the price of a full featured sub-MOA barrel from Black Hole Weaponry is only around $75-$100 more than a stock barrel and priced equally to most “premium Mil-Spec” barrels. For only another $75 you can add one of Black Hole’s seven custom fluting options to add a custom touch. This is my second 3-land polygonal rifled barrel and I am now officially a fan of Caudle Polygonal Rifling. In addition to the impressive and consistent sub-MOA accuracy even as the number of rounds increases on an uncleaned barrel, the polygonal rifled barrels are clearly cleaner running than any other barrels I own, plus they are much easier to clean. 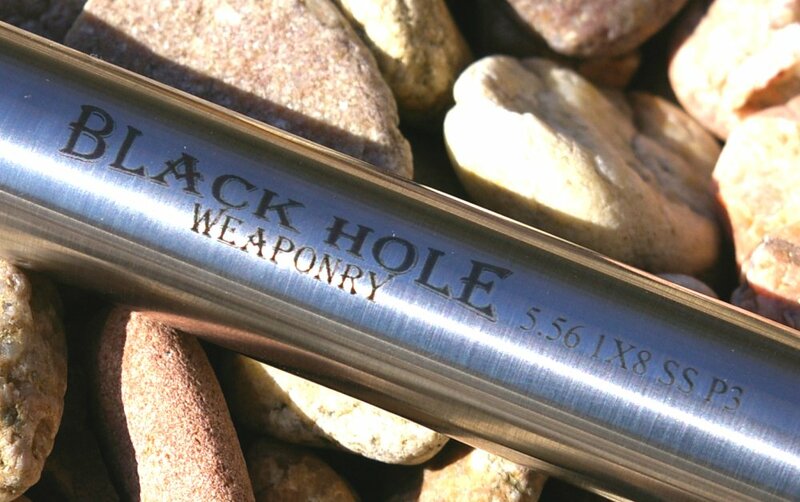 Black Hole Weaponry makes exceptional barrels and they are now in the process of updating their website from its current state to reflect their true capabilities as a premium barrel manufacturer. M4 feed ramp is included. What handguard is that and what length is it? 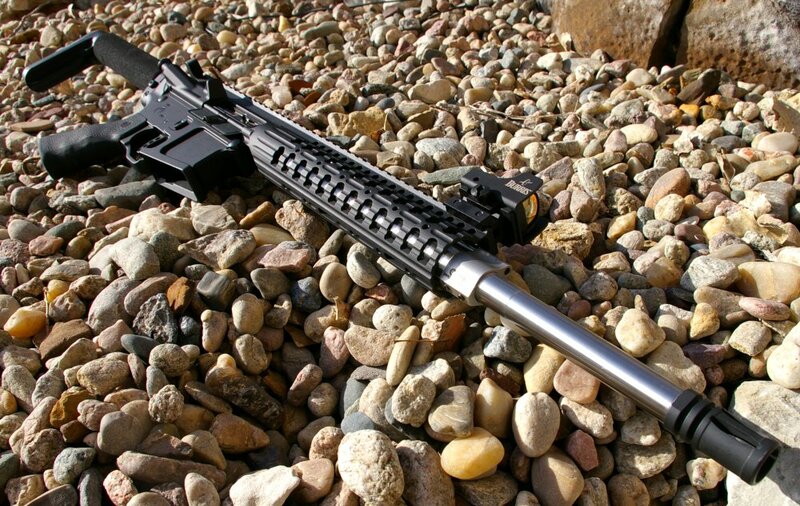 The Black Hole Weaponry barrel is Mid-Length and mounted to a Mega Arms MTS Mid-Length Monolithic upper. 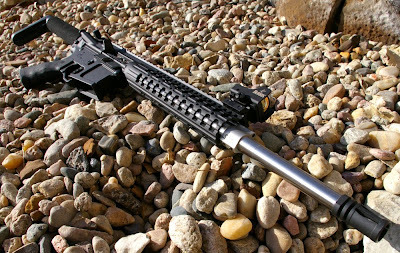 The monolithic uppers are one single piece of billet aluminum which integrate the upper receiver and handguard into one part. I checked their website and did not see the Wilde chamber only 5.56, and their ltm barrel is listed at 1.1 lbs. Is this the ltm or is it their standard that is listed at 2 lbs? Thank you for the review I will be ordering one from them just getting some facts to make a choice between which profile to get. They may have changed specs around since I wrote the article.